« Early Monday Mischief: Mommy Was Born for Mischief! Yup, ol’ Sandy got us but GOOD. 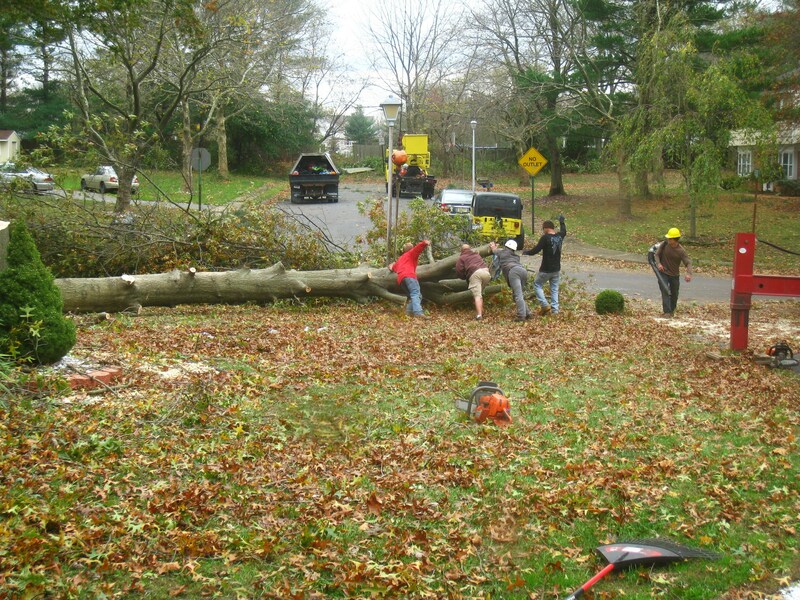 That Frankenstorm was the real mischief maker this time, and its mischief was epic. A 50 year old tree fell square on our house, crushing and buckling the roof, cracking the ceiling in the master bedroom, and causing leaks. For our blogging buddies from other countries, this was a “superstorm” unprecedented in our state. A hurricane met with two other storms, creating the “perfect storm” depicted in the George Clooney movie. But that wasn’t all – it happened during a full moon, which caused waters to rise higher than they would have at any other time during the month. This was a violent attack by Mother Nature and especially bad because our region doesn’t get hurricanes normally, so our buildings aren’t prepared for them. Huge roots of the tree that fell on us; just beyond it, you can see the roots of another tree that fell between our home and our next door neighbors. Our entire block looks like a war zone. View from one of the bedroom windows. 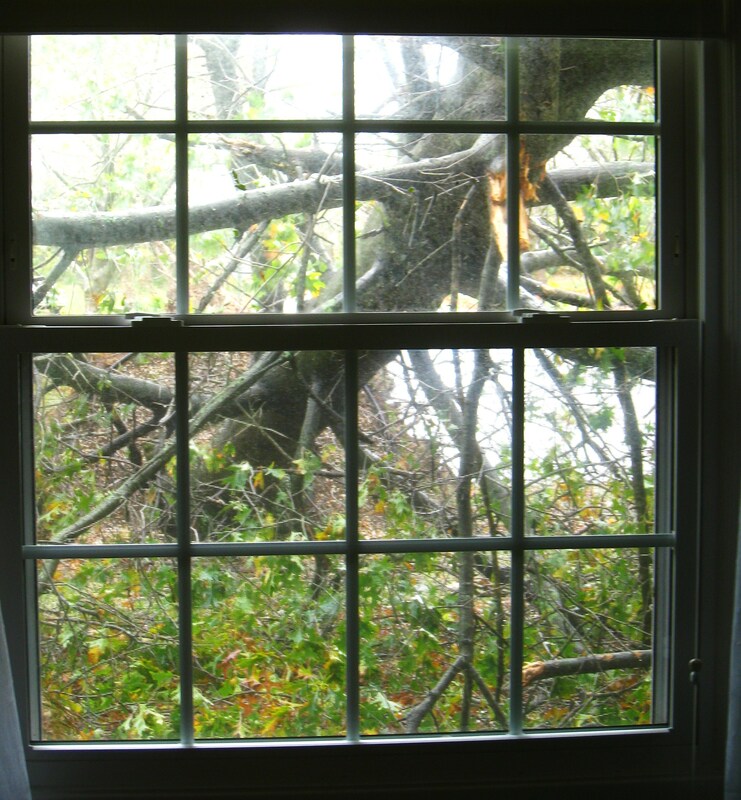 Every one of our 4 bedroom windows had large limbs pressing on it. It was a truly scary sight. And yet we were extremely blessed. So many thousands of people in our state have no homes left at all – they were either swept away by raging flood waters, demolished by trees, or blown to smitherines. People were killed or lost. The fire marshall made door-to-door visits to homes like ours with severe damage, deciding whether to condemn our homes and force us to evacuate – again, we were blessed. He said our foundation was stable so we could stay. We had no power or heat for 5 days, but once again, we were fortunate – many homes still have no power, with no anticipated return to normalcy. We hunkered down and bundled up in lots of layers and slept under tons of blankets – my personal count was 5 layers of clothes, 3 pairs of socks, 2 pairs of gloves, and a fleece ski headband for my ears. (And a partridge in a pear tree. LOL) 😉 Daytime temps were in the 40s and nights have been in the 30s, so I slept under 9 heavy blankets as well as a sleeping bag made to withstand 20 degree temps. It was dark, dreary, cloudy and cold for five solid days. We have an electric stove/oven, so we couldn’t cook. We had prepared as best as possible, but we were pretty much down to fruits, nuts, popcorn, precooked potatoes and the like by day 4. When the power came on Friday night, we celebrated like it was New Years Eve. The storm really scared Daisy. The 100 mile-per-hour winds scared us all, but Daisy trembled pretty hard no matter how much we tried to console her. Her instincts took over and she sought shelter – high ground and cover. We were all sitting on sofas in the family room, and she nervously climbed on the pillows behind our backs (for high ground, I guess) and squeezed under our arms. You just can’t argue with a dog’s instincts – somehow she knew that she needed to get cover and stay out of possible flood waters, or at least that’s how it seemed. She’s never reacted like that before. 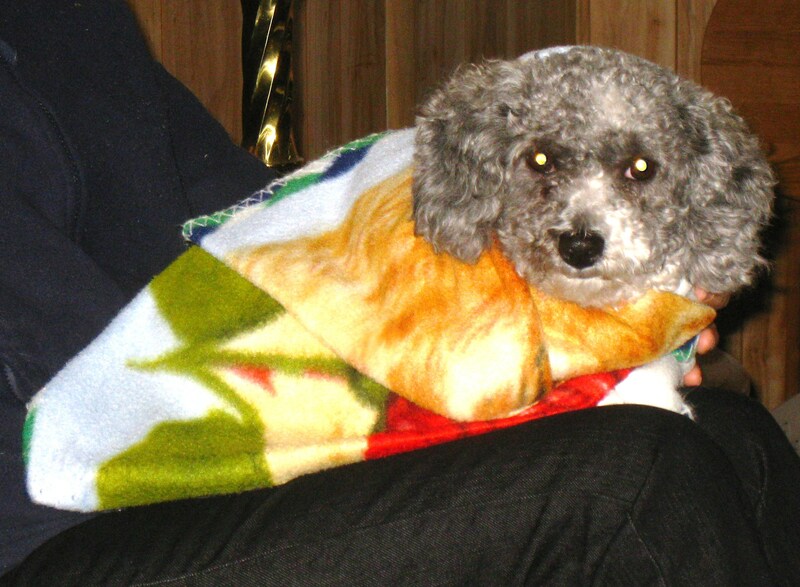 We kept Daisy bundled in multiple layers of blankets as well as her little pink sweater – she seemed quite content on our laps, despite an apprehensive gleam in her eyes! We’re on odd/even gas rationing plus we have a water shortage because so many reservoirs were drained to prevent them from overflowing. Some businesses are just starting to open, and food is beginning to be delivered to some supermarkets. Tree crews, police, and all kinds of professionals have been flocking into our state to help with the cleanup – God bless them all! A tree company from Michigan was able to bring their cherry picker and crane in, and they removed the tree from our house. It was quite a lengthy and cautious operation! It took a crew of 7 strong guys, a crane, a cherry picker, and 2 more trucks to get that huge tree safely off our house. Our prayers are with everyone who suffered far greater losses from this storm. We’re helping in the relief efforts and always wish we could do more. It’ll be quite some time before our roof and ceiling are repaired, but for now we have a few huge tarps over the entire front of the house, bolted in place with 2x4s (this was the recommendation of the roofer). AND we’re expecting a noreaster in a few days – wish us luck! We’re part of the Monday Mischief Blog Hop. It’s such a relief to hear from you all and know you’re ok!! It must have been terrifying and it sounds like it was super cold!! My Mum’s sister was stranded in the caribbean when Hurricane Ivan struck and destroyed her house and most of the Island, so we can imagine what you went through and are still going through, it takes so long to get back to normal…. Thanks Snoopy! How horrible that your mum’s sister went through such an awful ordeal! That must have been truly terrifying. We’re hoping against hope that the noreaster fizzles out or blows out to sea, but so far it doesn’t look that way. Like they say, “When it rains, it pours”…..literally! Oh poor Daisy and poor you guys. That tree was huge. I bet it was scary when it came down. I am glad you are all safe and have begun recovering from the storm. I guess it will be a while with so much damage. Thank you. Yes, it’ll be quite a while before everything gets repaired. All the professionals are getting an enormous number of calls from people needing home repairs, and they’re scheduling us in order of need, which I totally agree with. 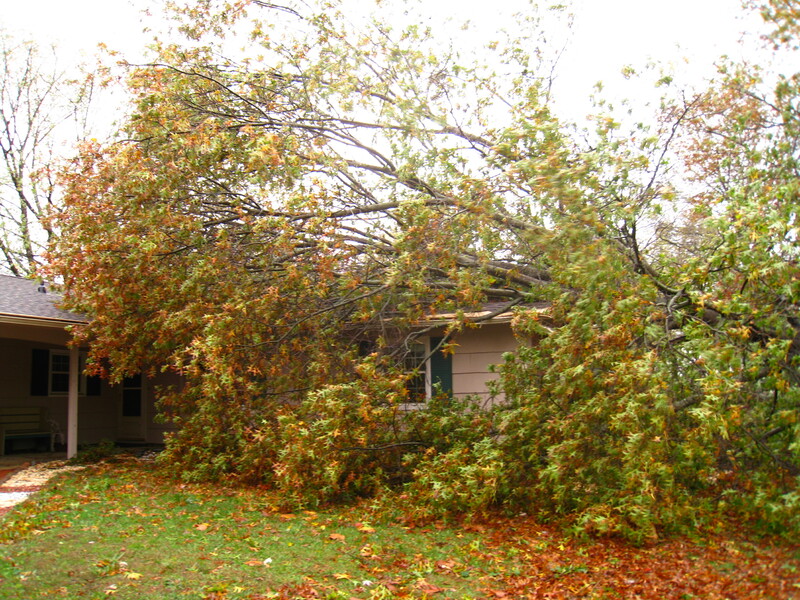 Our insurance adjuster won’t be here until sometime in December! I’m just anxious to get things shored up before the freezing weather hits in earnest so there’s no further damage to an already compromised roof. Wow, That is very scary. Me and Nellie are very glad to hear that you are all safe and sound. Thank you both. It really was scary, and it still is for so many people who were left homeless by the storm, especially as our temperatures are dropping rapidly. We pray for them every day. Whoa, that is a seriously close call – glad all two/four legged residents are safe! Stay warm and hope life gets back to normal soon. Thanks Will and Eko! We hope so too, especially for everyone who suffered far greater losses. That must have been so scary. Glad the clean up is under way and hope Daisy can relax again soon. I’m glad to say that Daisy seems back to her happy little self. The mayor of our town is extremely pro-active and very involved, unlike any mayor we’ve ever had. He’s riding the power company hard to get them to restore power to every home and business and has opened 24-hour charging and comfort stations with cots, blankets, heat, food, etc. for those still out. He’s even scheduled movie times to keep families entertained. 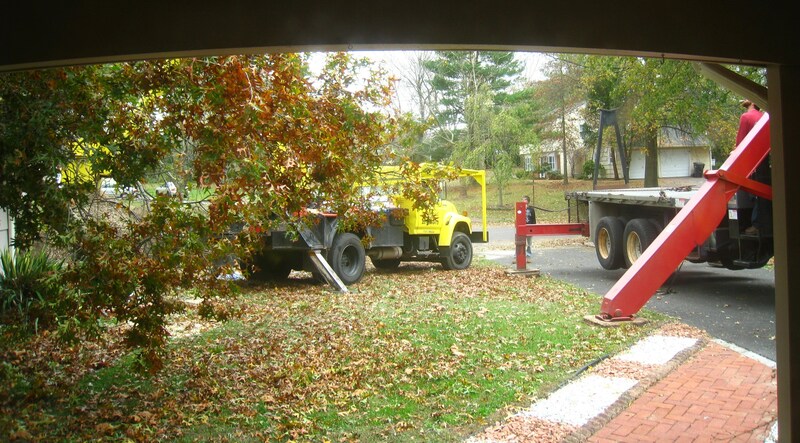 We get daily calls and emails from the town updating us on progress, and I’m sure he’ll get crews out to pick up all the downed trees as soon as they’re not needed for more urgent work. What an experience – one I’d be happy never to have again! How awful . 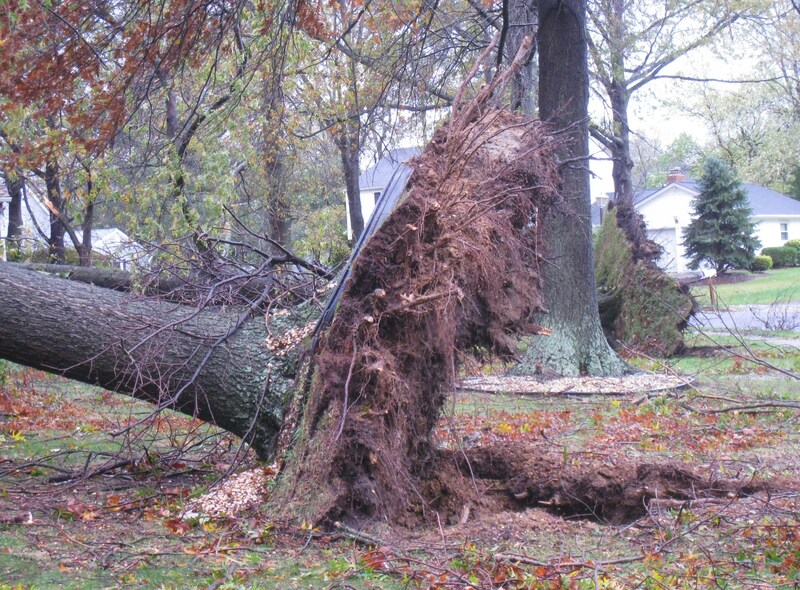 . . all I can say is, glad to hear you are all fine, and you don’t have to move from your damage house because of the tree. Daisy must have been petrified, but her instincts kicked in – animals are amazing that way. One positive came out of it – your Friday nights are going to be so much fun from now on! You’re so right Barb – sometimes there are silver linings to even the darkest clouds! Oh my golly gosh we had no idea you were in the thick of it. It must have been very frightening. We feel for you and all those in your area. We are so pleased to read you were fine but still it can’t have been an experience anyone wants to live through. Poor Daisy she must have been petrified too. Glad to read you are getting supplies throgh and we hope all is OK with your home. Sending love and hugs and all our best wishes. Please keep us all updated. Thanks so much Molly. I really wish we could take in some of the people whose homes were totally destroyed, my heart really goes out to them. There’s so much heartbreaking footage that it’s unbearable. Just goes to show that no matter what humans do, we’re no match against the wrath of nature. Thank you Misaki! Now we just have to get through this noreaster, and hopefully Mother Nature will give the east coast a break! Thank you Easy. I know my family is working hard to get things back to normal! Thanks so much Margie, and Daisy appreciates all your pups’ love! 🙂 That’s a funny story about what happened during your storm. Great hearing from you – give your gang a hug back from Daisy and me! Thank you. There’s no doubt that others are in much, much worse situations than we are, and that puts everything into a different perspective. The winds are now starting to blow with the noreaster we’re getting today, and it looks like already a cable that’s holding one of the tarps in place is pulling a shutter off the house. AND they say we may have heavy snow along with it tonight! I don’t think we’ll be sleeping in that bedroom tonight, just in case…. Glad you and your family are all right! How terrifying it all must have been! Thank you Loy! Yes, it was. I hope we never go through anything like that again….in fact, I wish no one ever had to go through natural disasters of any kind. Oh, my!!! I have been praying for everyone who has damage from the horrible storm but had no idea that you, my sweet friends were some I was praying for. I am so sorry you have damage and I hope that very soon your roof will be fixed and this never happens again. It had to be so scary for you all. Keeping you all in my thoughts and prayers. I am glad that none of you were injured and hope very soon you find peace and comfort again after this very traumatic situation. Warm hugs for you my sweet friend and nose kisses for sweet Daisy. Thank you so much Mumsy. We’re now also recovering from the nor’easter that dumped heavy snow (7 inches) on us – the crack in the ceiling doubled in length from the weight of the snow and I see a bit more buckling, so I’m pretty nervous. Can’t wait for it to get fixed, which will take a while. So many are in so much more dire straights than we are, though, that my heart really goes out to them. We’re looking for places to volunteer in the recovery efforts and we’re donating supplies in the meantime. Thank you again for your prayers. That must have been very frightening for you. I’m glad you’re all ok. Thanks Clowie. Yes, it was very frightening for everyone in our region; I can only imagine the intense fear of the animals whose owners’ homes were destroyed. Oh my friend…what a close shave you had..I am SO glad you are ok. I have not been getting your notifications…will unsubscribe and re-do it.Lots of love. Thank you Granny. I can’t wait until this is all behind us. What a scary event. It must have been so frightening for you and your family during the storm. I don’t know how I would have reacted if that happened to us. I am so glad that you and your family remained safe during this horrific event. We are on odd/even gas rationing days here as well. Hopefully that will pass in the coming weeks. It seems that power is being restored here slowly but steadily, however, it is still out in the shore areas. I hope you are managing to keep warm with all this going on. Especially after having 7″ of snow added by the recent nor easterner. Our prayers are with you during this difficult time. Thank you Tiffy. I hope no one ever has to go through this again – this area can’t take another battering! We are so sorry we are so late in popping over, youz didn’t come up in our box. So sorry to hear all the trouble you are having. I can’t imagine what you are going through.. we are all thinking of you and hope you can get things sorted real quick. Big hugs to you all. Thanks Mollie. We’re getting some supplies in this weekend, but the roof repair will take quite some time. I’m nervous about the weight of upcoming snowfalls on that area – the crack in our ceiling has already doubled in length. Hope the roofer can get here soon! Our dog, Chelsea, hates storms as well. My thoughts and prayers are with you. I am so sorry for all that you have gone through and I am extremely impressed with your ability to see your blessings through it all. Quite remarkable. I’ve been hearing that the Nor’Easter has brought snow with it, so I do hope you are alright and not too bitterly cold. My thoughts and prayers are with you. Thank you Long Life. Yes, the nor’easter dumped 7″ of heavy snow on us and blacked us out again; I’ll be posting about that soon. Not what we needed! Thanks Meg. We’re hoping the roofer can get to us soon – so far, no word after the nor’easter. ::sigh:: Still, at least we have a house!! OMG! I am just catching up! This must have been so terrifying! I am so glad you are all okay! Thanks Janet. I’m a little behind in responding to posts too. Yes it was very scary, and they say we’re only at the start of an escalated weather cycle that will last for some years to come. I think we better start outfitting homes up here with the storm shutters they use in the southern coastal states – or just move inland! I’m embarrassed to say that I just now got to your post. I hope that you weathered the next storm too. Sure hope you have insurance coverage; it sounds like you have a lot of rebuilding/repair to do. I’m glad y’all are safe. Thank God we do have insurance – the cost will be enormous to repair all this. And with so many people needing repairs and rebuilding, it could take months. Thank you all. Daisy really was scared during that storm, but from the predictions we’re hearing, she’s going to have to get used to more extreme storms like this. Unfortunately. 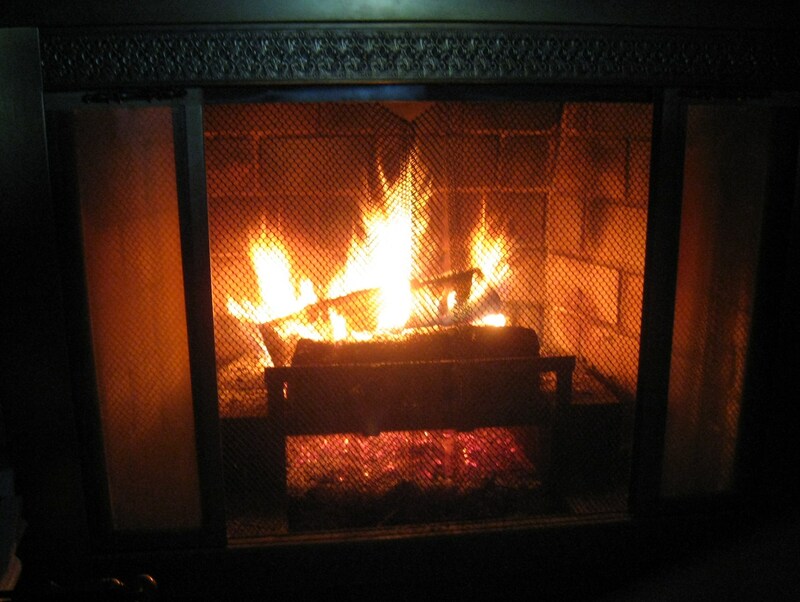 12 days without power is horrible – especially since the temperatures dropped so low during that time! I’m glad your inlaws’ place has returned to normal. It’ll take quite some time for our home to be repaired, and I’m pretty concerned about the fast-approaching winter and the possibilities of heavy snow on a broken roof. OH….sorry we didn’t have time to visit your blog these past few days…We didn’t know Sandy hits your area too. But we are glad you are all okay. I hope the reparation will be a fast job. Thanks Novroz. Unfortunately it’ll take quite some time for everything to be fixed, but at least we have a house to live in. We can’t really complain when so many others lost everything. It still chokes me up to think about it and see the devastation.